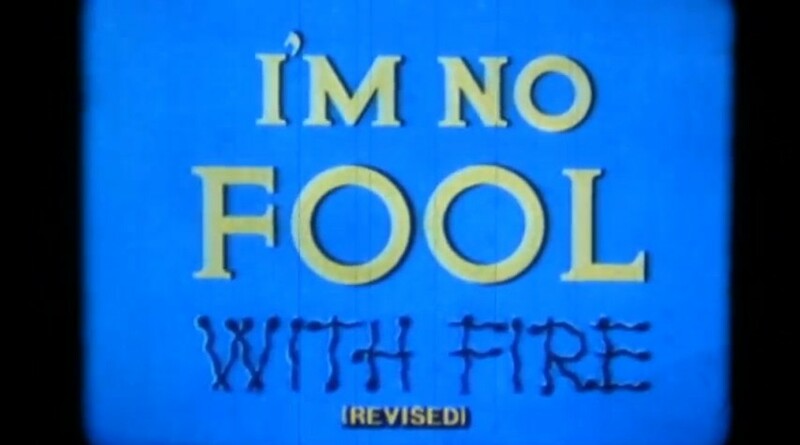 I’m No Fool With Fire (film) Cartoon made for the Mickey Mouse Club and later released, in April 1956, in 16mm for schools. Jiminy Cricket shows humankind’s reliance on fire through the ages and the necessity of understanding the rules pertaining to fire safety because of its potentially destructive nature. An updated version was released in September 1986.